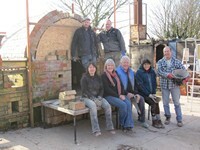 All these types of groups have found our Pottery Day experience really different, enjoyable and inspirational. Generally groups can be of between 4 and 10 members but school groups may be larger with close liaison and planning beforehand with Ray (and depending on staff:pupil ratio). 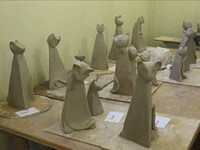 The day can pursue a chosen form of clay work (anything from pinch pots, coil and slab work to trying your hand at throwing on the wheel - or a combination)) and a chosen theme - see our News item on 'Cats!' . 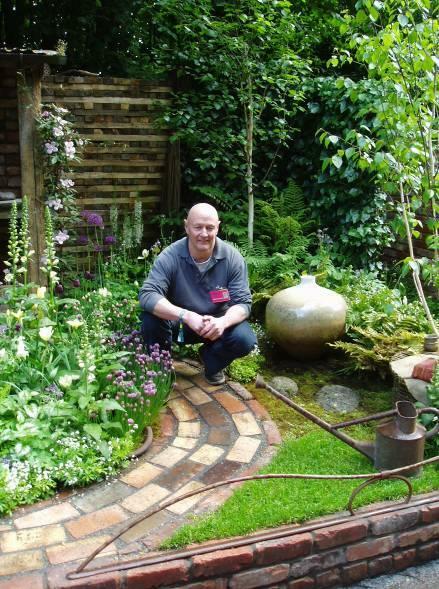 Ray will talk this through with you prior to your visit and be there on the day to help, advise and guide you along the creative process - whatever it may be! All facilities of the pottery and the leisure area are there for your use including the classroom/leisure areas. Most group days begin at @ 10.00am and finish at @ 4.00pm but this is very flexible to allow for travel times etc. Tea/coffee/biscuits are included and the leisure area kitchen facilities are there for you to enjoy your own packed lunch whether it be sandwiches or a bowl of hot soup. 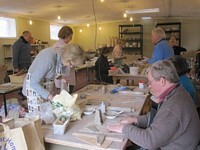 This was one of our day courses run for groups of friends who, though not necessarily experienced potters, fancy getting together for a day at the pottery. We usually offer a theme for the day and in the past have covered such ideas as hares, planters, statuesque ladies and the odd tortoise! 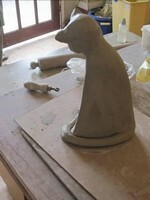 Based on hand building techniques these days offer even those who haven't touched clay since schooldays (if they were lucky!) to enjoy being creative in a relaxed and informal atmosphere. Everything is on hand - all you need to bring is yourself and a few like-minded friends. The hush of concentration that flows over the group from time to time was mixed with plenty of friendly chat and exchange of views and news - oh, and stops for coffee/tea and lunch were take when the group felt it was a good moment for a break. 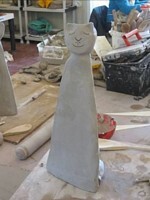 By the afternooon everyone had a fully formed cat (some had produced smaller versions, working without templates, which goes to show how creativity and confidence grow on these days) and work could be done on tweaking shape and details of each cat - including the curl of the all important tail (which brought in a bit of coil clay work).